David Cristóbal Litago (born in 1984, Spain) studied at the 'Musikene' Conservatory of San Sebastian with Eric Devallon, Juan Manuel Jiminez and Tomás Jerez, where he completed his Bachelor with a 10 and Matricula de Honor, the highest possible appreciation. In 2009 he received the title Experto Universitario en Interpretacion Musical (University Expert in Musical Interpretation) by the International University of Andalucía. Two years later (2011) he completed his Master of Music successfully at the Conservatory of Amsterdam with Arno Bornkamp. During half a year of his master studies he studied in Paris at the CNSM with Claude Delangle and Christophe Bois. 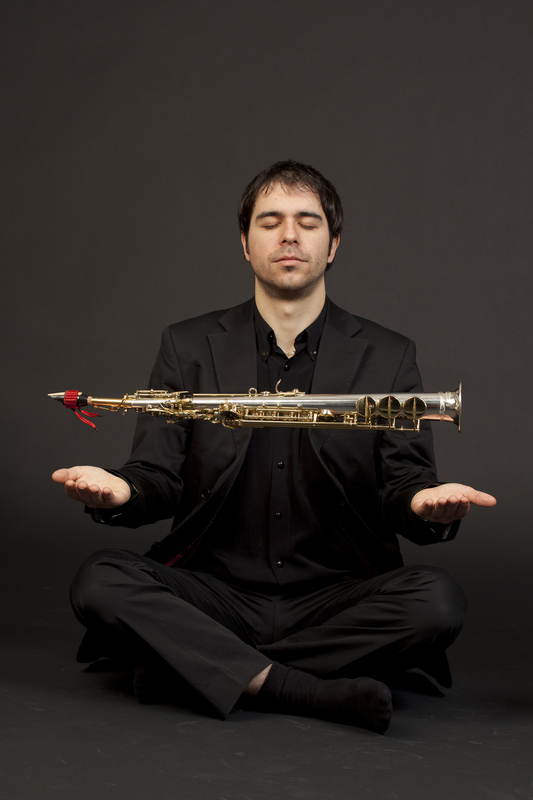 David Cristóbal is prizewinner of the Caja Madrid’s chamber music competition (2007), the Concurso Internacional de Benidorm (2008) and the 7th International Osaka Chamber Music Competition (2011) with Melisma Saxophone Quartet. He got the scholarship of 'Becas Navarra' to study in Amsterdam. He followed masterclasses with a.o. Quatuor Diastema, Vincent David, Jean-Marie Londeix and Jean-Denis Michat. In 2014 David won a donation from the 'Prins Bernhard Cultuurfonds', which made it possible for him to purchase a new soprano saxophone. He specializes in chamber music and he has played throughout Europe (Spain, The Netherlands, Norway, Switzerland…) with different ensembles.